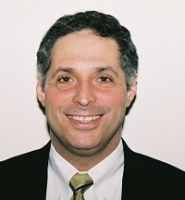 Leo Eisner is principal product safety and regulatory consultant at Eisner Safety Consultants. Leo’s focus is on active medical electrical equipment (IEC 60601 series) to support manufacturers thru the testing and regulatory submission processes. He has been dubbed the “IEC 60601 Guy” by several well-known industry leaders in medical device quality and regulatory. He is a registered professional engineer in safety, has been in product safety for over 30 years, and has 24 years of medical device experience. He has worked for 3 EU MDD Notified Bodies and is an EU Notified Body Technical Reviewer for 60601. He routinely speaks and writes as an international expert on the topic of IEC 60601 series. He is a US Co-Chair for the US Technical Advisory Group (TAG) IEC/SC 62D, and a committee member of IEC TC 62, SC 62A & SC 62D. These committees support the IEC 60601 series. He is on several Maintenance Teams and a Working Group currently working on the next draft of IEC 60601-1 (3rd ed + Amendment 2) including an AdHoc Group for the addition of IEC 62368-1, 3rd ed. into 60601-1. He is additionally involved in other standards development work focused on the IEC 60601 series. Leo has been an advisor to BSI on their Medical Device White Paper Series. He is the manager of the LinkedIn discussion group IEC 60601 Series – Medical Electrical Equipment.